What was the secret to surviving the death camps? How did you keep from dying of heartbreak in a place of broken hearts and broken bodies? "Think of it as a game, Jack," an older prisoner tells him. "Play the game right and you might outlast the Nazis." Caught up in Hitler's Final Solution to annihilate Europe's Jews, fifteen-year-old Jack is torn from his family and thrown into the nightmarish world of the concentration camps. Despite intolerable conditions, Jack resolves not to hate his captors, and vows to see his family again. He forges friendships with other prisoners, and together they struggle to make it one more hour, one more day. But even with his strong will to live, can Jack survive the life-and-death game he is forced to play with his Nazi captors? 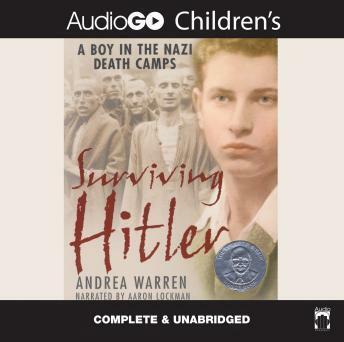 Award-winning author Andrea Warren has crafted an unforgettable true a story of courage, friendship, family love, and a boy becoming a man in the shadow of the Third Reich. Ages 10 and up.